FOUNTAIN VALLEY, Calif., March, 2018 – Today, Hyundai Hope On Wheels® (HHOW), a 501c3 nonprofit organization, celebrates its 20th year in the fight against pediatric cancer and announces plans to exceed $145 million toward pediatric cancer research. In celebration of its 20th anniversary, HHOW will host its annual launch event at the New York International Auto Show to recognize the grant award-winning institutions, doctors, and children affected by pediatric cancer. 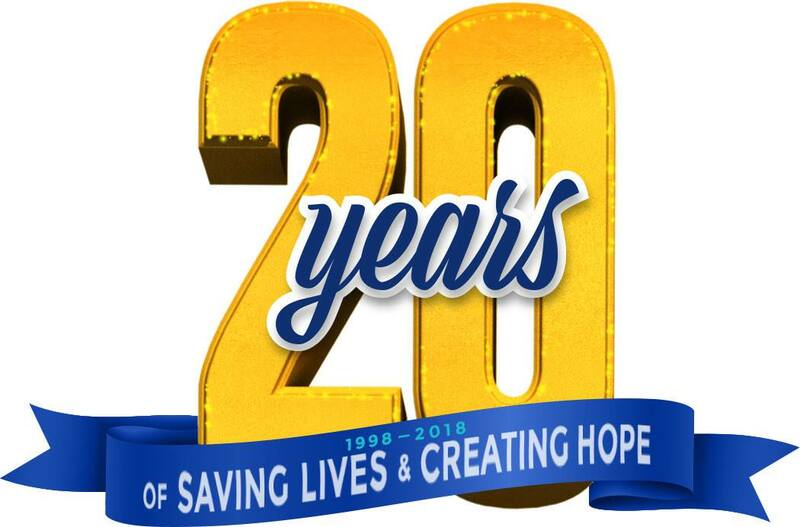 The campaign theme for this year is: 20 years of saving lives and creating hope, in the fight to end childhood cancer. HHOW also introduces two new 2018 National Youth Ambassadors: Elizabeth Blair (11) and Carter Gates (12). The launch event is hosted by awarding winning journalist and multimedia personality Soledad O’Brien, and special musical performances by Broadway’s Betsy Wolfe, Alton Fitzgerald White and the Broadway Youth Ensemble. This annual event takes place in conjunction with the preview night of the New York International Auto Show in the Jacob Javits Center at the Hyundai booth on Thursday, March 29th at 6:30 PM. Begun in 1998 by Hyundai and its U.S. dealers, HHOW is one of the longest continuously running CSR initiatives in the auto industry and is dedicated to helping kids fight cancer. The program was begun in the Boston, MA area and quickly traveled to support children’s hospital throughout the U.S. with research grants to help find cures and to improve care for children fighting cancer. In 2018, fifty-three (53) new institutions will receive a combined $15 million in pediatric cancer research grants. HHOW offers pediatric cancer research grants for Children’s Oncology of America member institutions in the U.S. The grant winners are chosen by a peer-reviewed and competitive selection process. There are five HHOW grant categories: Impact Grant ($100,000), Young Investigator Grant ($200,000), Hyundai Scholar Hope Grant ($300,000), Hyundai Quantum Grant ($1 million) and the new Quantum Collaboration Grant ($2.5 million). Applications are graded by a panel of scientific reviewers, for their innovation and potential to increase discovery. HHOW is committed to increasing awareness and celebrating the lives of child cancer survivors. Kids who fight cancer are brave, courageous and represent hope. They often go devastating treatments on their road to cure. Many continue with life-long health related issues as a consequence of cure. Our goal is to help kids not only survive, but to ensure these kids thrive in their lives after the disease. This year, we are pleased to welcome two new National Youth Ambassadors. Elizabeth Blair, 11 years old, is from Phoenix, AZ. Carter Gates is 12 years old, from Colorado Springs, CO. These two incredible pediatric cancer survivors will travel the country for the next two years sharing their message of hope. They not only fought pediatric cancer, but they continue to win in life. Click this video to learn more about Elizabeth and Carter. Each year, HHOW names one or more celebrities to join us as a part of our annual New York launch event. This year, we are proud to welcome back for a second year renowned multimedia personality and award winning journalist Ms. Soledad O’Brien, to host the event. Additionally, Broadway superstars Betsy Wolfe and Alton Fitzgerald White will provide special musical performance. The Broadway Youth Ensemble will join the festivities, with a number of Broadway inspired show tunes to entertain the audience. Times Square Takeover, pop-up awareness event along Broadway & W 44th Street to engage the public in spreading awareness for pediatric cancer. Announcement of 2 new HHOW National Youth Ambassadors who will travel the country sharing their cancer survivor story. Child cancer-survivor and grant winning institutions videos featured on website and YouTube. A re-designed website, HyundaiHopeOnWheels.org, where visitors can view stories of child cancer-survivors, read about funded research, or post a message of hope for a family. The HHOW Grants Tour is a nationwide effort from April to October to travel the country presenting grant checks ranging from $100,000 to $2.5 million to selected children’s hospitals and institution. At each event, we conduct our signature handprint ceremony, at which kids get to put their hands in paint and place it on the HHOW hero vehicle, 2018 Hyundai Santa Fe. These color handprints represent the dreams, journey and hopes of kids fighting cancer. They allow kids from across the nation to join hands in with a common purpose to fight this dreaded disease. Each doctor-grant recipient receives HHOW lab coat and is named a Hyundai Scholar. Approximately 15,000 children are diagnosed with cancer each year in the U.S. This year HHOW travels the nation in a Hyundai Santa Fe – the official hope vehicle, to the children’s hospital grant winners. The vehicle serves as a canvas for hope, covered with handprints collected from children across the country battling this disease. In September, National Pediatric Cancer Awareness month, HHOW will announce a series of events across the nation to bring greater awareness about the issue. Supporters and followers of HHOW are invited to post photos or messages on social media using hashtag #EndChildhoodCancer. For more information about Hyundai Hope On Wheels and to view a list of our 2018 Hope On Wheels grant winners, please visit www.hyundaihopeonwheels.org/research. You can also follow us on Facebook, Twitter or Instagram at facebook.com/HyundaiHopeOnWheels, twitter.com/HopeOnWheels or Instagram.com/HyundaiHopeOnWheels. Hyundai Hope On Wheels® is a 501(c)(3) non-profit organization that is committed to finding a cure for childhood cancer. Launched in 1998, Hyundai Hope On Wheels provides grants to eligible institutions nationwide that are pursuing life-saving research and innovative treatments for the disease. HHOW is one of the largest non-profit funders of pediatric cancer research in the country, and primary funding for Hyundai Hope On Wheels comes from Hyundai Motor America and its more than 835 U.S. dealers. Since its inception, Hyundai Hope On Wheels has awarded more than $130 million towards childhood cancer research in pursuit of a cure.